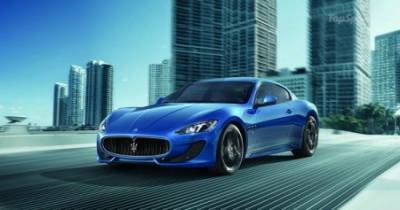 The automaker Maserati announced its intention to issue a new car Gran Turismo Sport as a replacement for the current Gran Turismo S. And despite the lack of official confirmation, there is no doubt that the convertible version also sees the light. Model GranCabrio likely to appear a year later, Gran Turismo Sport, a car will reveal the same line of design and use of the same range of engines as the coupe model. This means that convertible gets a new front bumper, which optimizes airflow to cool both the engine and brakes, LED lights, and tinted taillights. The aggressive appearance will be supported by eight V-shaped engine of 4.7 liters and output of 460 horsepower. All this allows to reach the first "hundred" in just 4.8 seconds. However, the car becomes more difficult because of the folding roof mechanism.